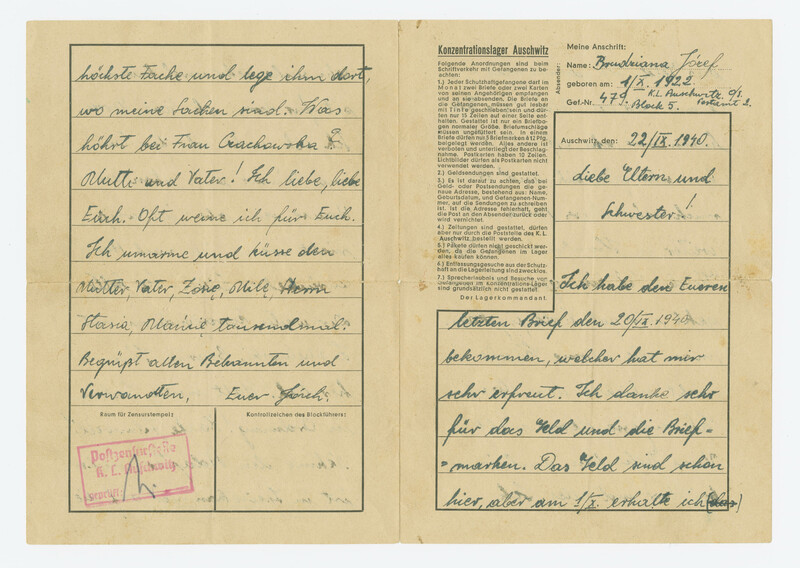 Note: Prisoner arrived in camp on 14 June 1940. "June 14, 1940 – The first Polish inmates, 728 men, are sent to Auschwitz from the prison in Tarnow by the Krakow Sipo and SD commander. 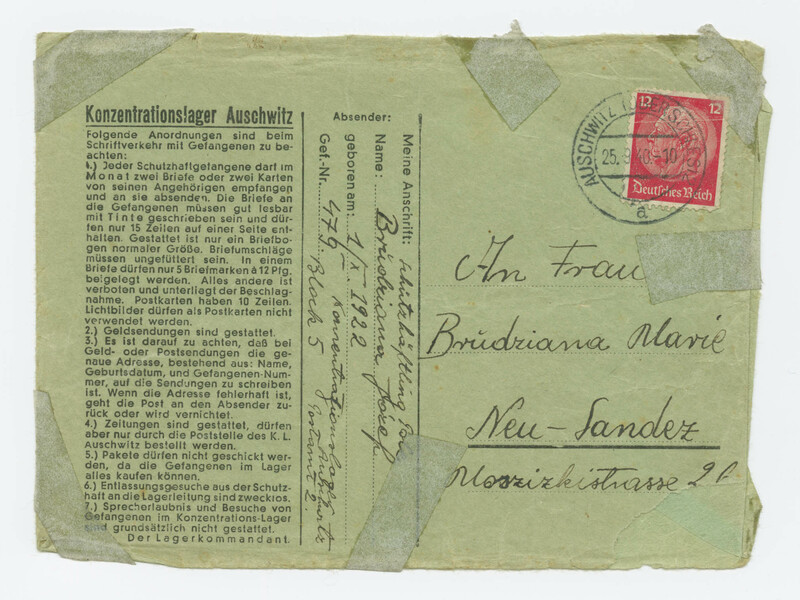 The prisoners are given Nos.31-758 and quarantined …”. 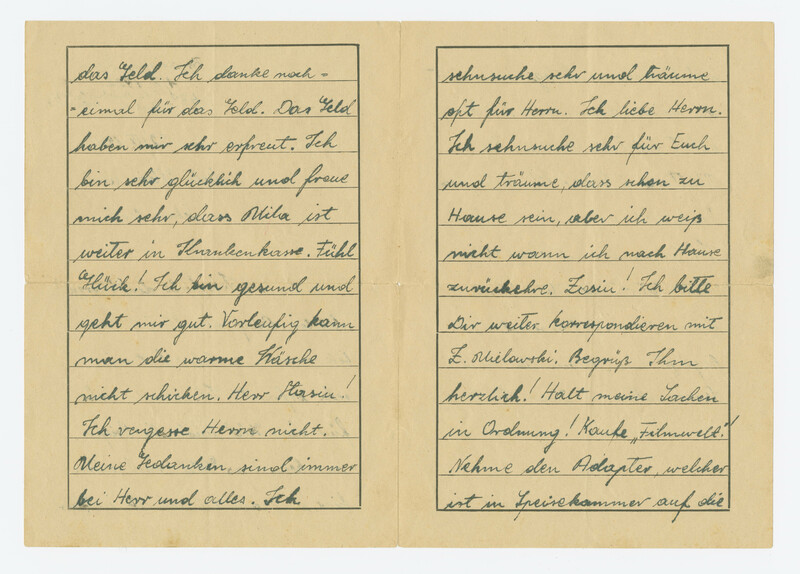 (Auschwitz Chronicle p.13). Note 2:. 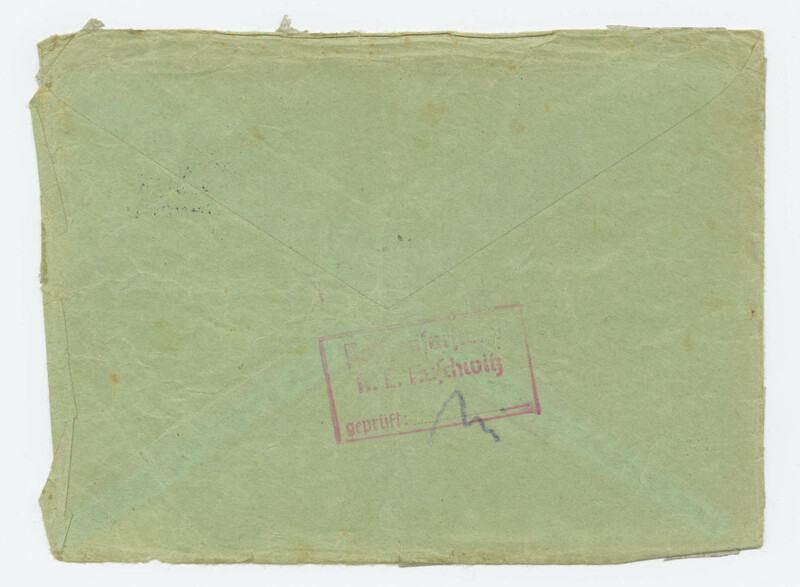 Tears in letter and envelope repaired by scotch tape.